Check out the press release after the cut. 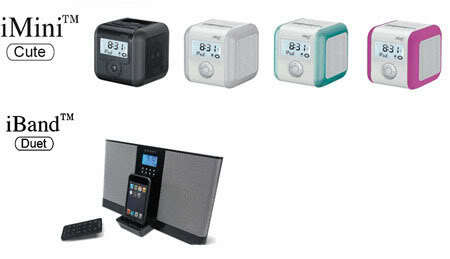 Ozaki is giving 10% discount on its iMini Cute and iBand Duet Speakers. All you need is the Ozaki voucher which you can get inside every April 2009 issue of iCreate Magazine. Simply present the voucher to participating Power Mac Center outlets (Megamall, Greenbelt 3, Powerplant, SM North Annex, MOA, Trinoma, SM Marikina, Festival Mall, and Podworx at SM The Block) and avail of the 10% OFF on iMini Cute (available in white, black, pink and blue colors) and iBand Duet Speakers (available in black). The Ozaki iMini Cute and iBand Duet speakers are the ideal choice for iPod lovers–they play your songs and charge your iPod at the same time. These two also function as alarm clock and radio. While the iMini is super portable, the iBand Duet gives powerful stereo and comes in a smooth piano black finish. Don’t miss this bargain. This promo is from April 1 to May 31, 2009 only. Ozaki is exclusively distributed in the Philippines by MSI-ECS. For more product information and other inquiries, contact Jonas Lim at 688-3732, email jlim@msi-ecs.com.ph, or visit www.msi-ecs.com.ph.